Baulch, J. E., Acharya, M. M., Allen, B. D., Ru, N., Chmielewski, N. N., Martirosian, V., . . . Limoli, C. L. (2016). Cranial grafting of stem cell-derived microvesicles improves cognition and reduces neuropathology in the irradiated brain. Proceedings of the National Academy of Sciences. doi: 10.1073/pnas.1521668113. Ettle, B., Kerman, B. E., Valera, E., Gillmann, C., Schlachetzki, J. C. M., Reiprich, S., . . . Winkler, J. (2016). α-Synuclein-induced myelination deficit defines a novel interventional target for multiple system atrophy. Acta Neuropathologica, 1-17. doi: 10.1007/s00401-016-1572-y. Hays, S. A., Ruiz, A., Bethea, T., Khodaparast, N., Carmel, J. B., Rennaker Ii, R. L., & Kilgard, M. P. (2016). Vagus Nerve Stimulation during Rehabilitative Training Enhances Recovery of Forelimb Function after Ischemic Stroke in Aged Rats. Neurobiology of Aging. doi:http://dx.doi.org/10.1016/j.neurobiolaging.2016.03.030. Li, A., Roy, S. H., & Nattie, E. E. (2016). An augmented CO2 chemoreflex and overactive orexin system are linked with hypertension in young and adult spontaneously hypertensive rats (SHRs). The Journal of physiology, n/a-n/a. doi: 10.1113/jp272199. Moro, N., Ghavim, S. S., Harris, N. G., Hovda, D. A., & Sutton, R. L. (2016). Pyruvate treatment attenuates cerebral metabolic depression and neuronal loss after experimental traumatic brain injury. Brain Research, 1642, 270-277. doi: http://dx.doi.org/10.1016/j.brainres.2016.04.005. Soares, L. M., De Vry, J., Steinbusch, H. W. M., Milani, H., Prickaerts, J., & Weffort de Oliveira, R. M. (2016). Rolipram improves cognition, reduces anxiety- and despair-like behaviors and impacts hippocampal neuroplasticity after transient global cerebral ischemia. Neuroscience. 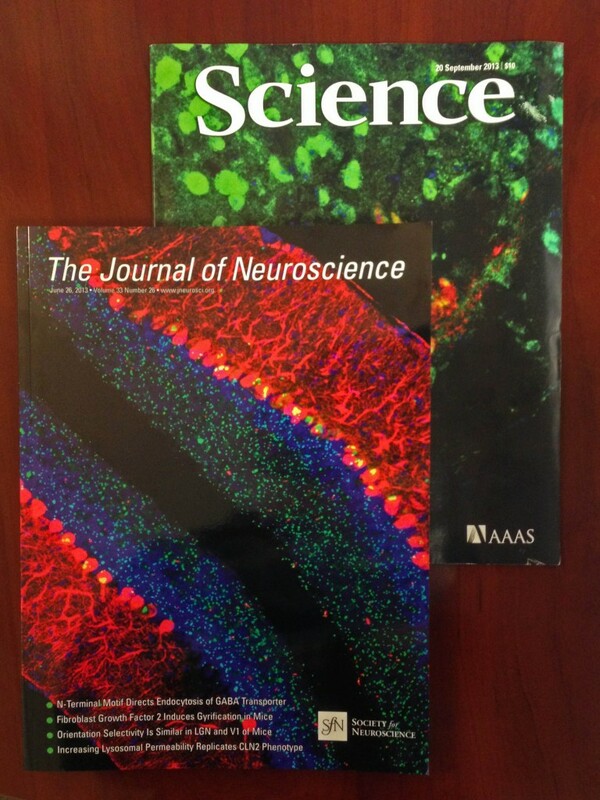 doi:http://dx.doi.org/10.1016/j.neuroscience.2016.03.062. Sobrero, R., Fernández-Aburto, P., Ly-Prieto, Á., Delgado, S. E., Mpodozis, J., & Ebensperger, L. A. (2016). Effects of Habitat and Social Complexity on Brain Size, Brain Asymmetry and Dentate Gyrus Morphology in Two Octodontid Rodents. Brain, Behavior and Evolution, 87(1), 51-64. Sos, K. E., Mayer, M. I., Cserép, C., Takács, F. S., Szőnyi, A., Freund, T. F., & Nyiri, G. (2016). Cellular architecture and transmitter phenotypes of neurons of the mouse median raphe region. Brain Structure and Function, 1-13. Beebe, N. L., Young, J. W., Mellott, J. G., & Schofield, B. R. (2016). Extracellular Molecular Markers and Soma Size of Inhibitory Neurons: Evidence for Four Subtypes of GABAergic Cells in the Inferior Colliculus. The Journal of Neuroscience, 36(14), 3988-3999. Gianaris, A., Liu, N.-K., Wang, X.-F., Oakes, E., Brenia, J., Gianaris, T., . . . Xu, X.-M. (2016). Unilateral microinjection of acrolein into thoracic spinal cord produces acute and chronic injury and functional deficits. Neuroscience. doi: http://dx.doi.org/10.1016/j.neuroscience.2016.03.054. Grachev, P., Porter, K. L., Coolen, L. M., McCosh, R. B., Connors, J. M., Hileman, S. M., . . . Goodman, R. L. (2016). Surge-like LH secretion induced by retrochiasmatic area NK3R activation is mediated primarily by ARC kisspeptin neurones in the ewe. Journal of Neuroendocrinology, n/a-n/a. doi: 10.1111/jne.12393. Hays, S. A., Ruiz, A., Bethea, T., Khodaparast, N., Carmel, J. B., Rennaker, R. L., II, & Kilgard, M. P. (2016). Vagus Nerve Stimulation during Rehabilitative Training Enhances Recovery of Forelimb Function after Ischemic Stroke in Aged Rats. Neurobiology of Aging. doi: 10.1016/j.neurobiolaging.2016.03.030. Mohammed, H., & Jain, N. (2016). Ipsilateral cortical inputs to the rostral and caudal motor areas in rats. Journal of Comparative Neurology, n/a-n/a. doi: 10.1002/cne.24011. Nedelescu, H., Chowdhury, T. G., Wable, G. S., Arbuthnott, G., & Aoki, C. (2016). Cerebellar sub-divisions differ in exercise-induced plasticity of noradrenergic axons and in their association with resilience to activity-based anorexia. Brain Structure and Function, 1-23. doi: 10.1007/s00429-016-1220-2. Wu, J., Zhao, Z., Kumar, A., Lipinski, M. M., Loane, D. J., Stoica, B. A., & Faden, A. I. (2016). ER stress and disrupted neurogenesis in the brain are associated with cognitive impairment and depressive-like behavior after spinal cord injury. Journal of Neurotrauma. doi: 10.1089/neu.2015.4348. Posted in Customer News, MBF Company News, Software and tagged citations, Lucivid, Neurolucida, Stereo Investigator.